Home Investor Blogs In Which Neighborhoods Should You Invest in the Nashville Real Estate Market? In Which Neighborhoods Should You Invest in the Nashville Real Estate Market? Are you a real estate investor looking for the best location for your next investment property purchase? Then you’ve come to the right place. If you are in search of a hot housing market to buy a rental property there, the Nashville real estate market is the place for you. After all, every real estate investor would be interested in an investment in the US hottest single family housing market. And the Nashville real estate market is exactly this according to Ten-X Research, an online real estate marketplace. But what are the best neighborhoods for buying investment properties in Nashville? The answer is below. What’s the Deal with the Nashville Real Estate Market? As you can see, investing in Nashville real estate is relatively affordable, compared to other top markets in the US such as San Francisco, New York, Boston, and others. The rental income is quite good, taking into consideration the median property price level. Importantly, the optimal rental strategy for investment properties in Nashville is Airbnb, which yields much higher return on investment than traditional rentals, in terms of both CoC return and cap rate. Please note that the CoC return and cap rate computed by Mashvisor’s rental property calculator are the same because this real estate investing tool considers all property purchases to be done in cash only, i.e., without a mortgage. Related: How much does investing in Nashville real estate cost? Since Airbnb Nashville is the better rental strategy, it is important to check the Airbnb legislation in the city. Feeling threatened by the strong competition from Airbnb rentals and hosts, the hotel lobbies in many major real estate markets across the US have been pushing local governments strongly to impose stricter Airbnb rules and regulations or abolish this rental strategy altogether. How About Airbnb Rules in the Nashville Real Estate Market? Similarly to other major US cities, the debate over Airbnb rentals has started in Nashville as well. And some progress towards limiting short-term rentals in the city has been achieved. An ordinance has been proposed in Nashville’s Metro Council to phase out short-term rental properties which are not occupied by their owner away from residential neighborhoods. The ordinance was supposed to be voted on in July, but the Metro Council postponed the final vote until next year. So, real estate investors interested in Airbnb Nashville investment properties should follow the developments in this regard. One of the best ways to stay up to date with all major developments in the real estate investing business in the US is to sign up for Mashvisor. What Are the Best Neighborhoods for Rental Properties in the Nashville Real Estate Market? The first in the list of the best neighborhoods for Nashville real estate investments is Historic Waverly Place, which is even more affordable than Nashville as a whole. The better rental strategy here is Airbnb though traditional renting also offers some decent return on investment. Another neighborhood you should considering for buying a Nashville real estate property for investment purposes is The Gulch, which offers Airbnb CoC return and cap rate as high as 9.4%. That’s some quite good profitability out there. Yet another excellent neighborhood for Airbnb Nashville rentals is East Nashville Block Club, where the median property price is lower, while the Airbnb profitability is higher. A real estate investor is expected to make – on average – as much as $4,610 per month if renting out Airbnb. Nevertheless, the absolute best neighborhood for buying and owning an Airbnb Nashville real estate property is Acklen Avenue Alliance. Although it’s on the pricey side, the average Airbnb rental income is $7,260, and the CoC return and cap rate are 10.7%. The final Nashville which offers great real estate investment opportunities according to estimates from Mashvisor’s rental property calculator is East Hill. Once again, Airbnb is the better rental strategy here. As a real estate investor, you know well that location is crucially important in the choice of an investment property. And location does not mean just the city but also the neighborhood. In order to help you out in the choice of your next investment property, up are the best neighborhoods for owning and renting out a rental property in the Nashville real estate market this year. 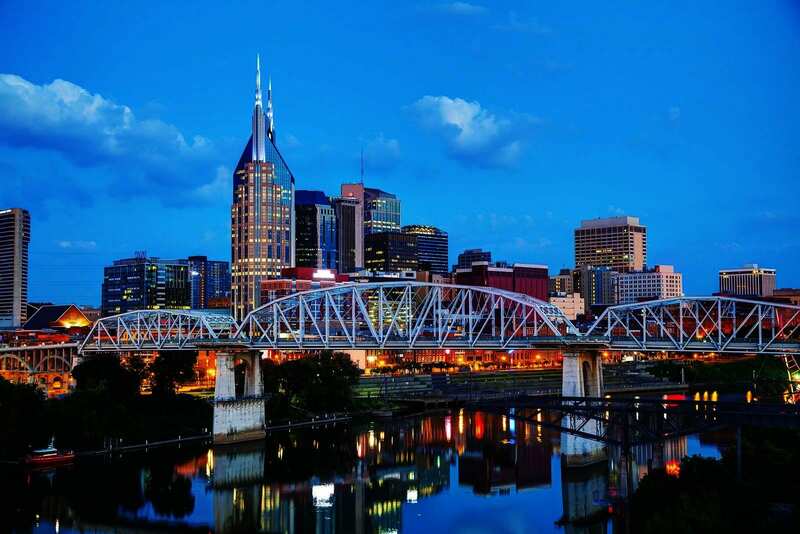 For selecting the most profitable investment property matching your specific situation, check out Mashvisor for many real estate properties in Nashville and beyond as well as their numbers. Real Estate Developer vs. Real Estate Investor: What’s the Better Career Choice for You? Where Should You Buy an Investment Property in the Houston Real Estate Market in 2018? New Orleans Real Estate 2018: A Good Time to Invest?